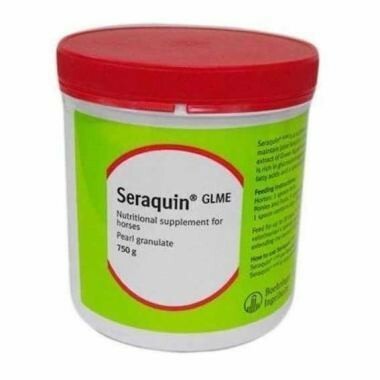 Equitop (Seraquin) GLME is a supplement formulated to support your horse's joints & maintain their function. It contains extracts of Green Lipped Mussel, which are full of GAGs, fatty acids & a special glycogen complex. It comes as a palatable powder. Equitop (Seraquin) GLME can be beneficial for horses suffering from osteoarthritis or DJD (degenerative joint disease).